Connecticut parents recently cheered the passage of a bill that opened up the state’s medical marijuana program to minors. The bill took effect Oct. 1, marking the first time that that those under 18 in the state would be able to access the drug for a restricted range of conditions. Before the bill’s passage, Connecticut was the only state with a comprehensive medical marijuana program that excluded minors. Now, children there with cerebral palsy, cystic fibrosis, irreversible spinal cord injuries, seizure disorders and terminal illnesses can be treated with medical marijuana. This was the second time that the Connecticut legislature had attempted to introduce such a bill. In 2015, they backed off the legislation after pediatricians in the state expressed concern, says Jonathan Harris, Commissioner of the Department of Consumer Protection in Connecticut. But some of those concerns remain, even though the bill is now law. And when it comes to legislating access to marijuana, prevailing medical opinion often comes up against patient advocacy. Parents see the drug as almost a miracle treatment for a number of conditions and symptoms, whereas pediatricians remain unsure if it actually works, and of its safety for kids and their developing brains. “Watching the legislation, it seems to me that it’s been much more emotionally and politically driven than scientific,” says Dr. Kathleen Neville, chair of the Committee on Drugs at the American Academy of Pediatrics (AAP). Specifically, it’s still unclear if marijuana is effective for some of the conditions it’s most commonly called on to treat, such as uncontrollable seizures, she says. There is also concern about the potential for long-term impacts of the drug on kids’ development, and scientists and doctors have little understanding of what those effects could be. For medical marijuana, legalization and patient use is coming long before active research on usefulness and potential harms, says Zempsky. “We’re practicing in reverse,” he says. Zempsky supports the Connecticut bill — mainly because if desperate parents are going to try to get the drug anyway, he thinks it should be done in a controlled and regulated setting that’s overseen by a doctor. But it still should not be the first drug a patient tries. The AAP was against the use of medical marijuana for minors because of those concerns until last year, when they updated their position to say that the drug could be used in patients with debilitating or terminal conditions. “In extreme cases where the potential benefits outweigh the short and long-term risk, maybe it’s reasonable,” Neville says. Those are the types of conditions that can be treated under the new Connecticut legislation, and that restriction is what convinced the state branch of the AAP to support the law. States without comprehensive medical marijuana programs take a similar approach, restricting use of the drug to one or a handful of conditions — typically epilepsy — and usually only allowing use of a cannabis derivative that does not have the psychoactive effects associated with marijuana. Mississippi passed legislation in 2014 allowing the use of cannabidiol oil for severe epilepsy. Oklahoma has a similar law, as do South Carolina, Wyoming, and other states. The common refrain from pediatricians now is that more research is needed. And that’s echoed by some parents, like Gayla Berry, whose ten-year-old daughter Talia has a severe form of epilepsy called Dravet syndrome. But the problem then becomes conducting the research. This is difficult to do, as Dr. Madan Cohen knows firsthand. A pediatric neurologist at Connecticut Children’s Medical Center, she was somewhat reluctant to get involved in medical marijuana. Cohen got involved in a clinical trial run by a pharmaceutical company trying to get Federal Drug Administration approval for a cannabidiol oil. But before she started work, she spent over a year fighting the red tape to be able to dispense the oil as part of the study. Because marijuana remains a Schedule I drug through the federal Drug Enforcement Administration, Cohen had to get a special license to use it. “Getting my license to be part of this trial took over a year,” she says. 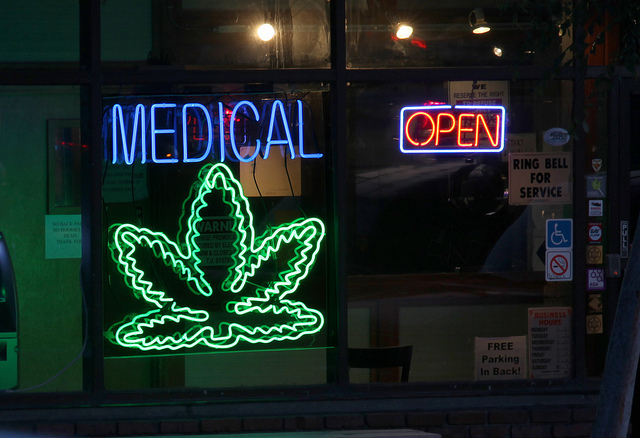 The ultimate irony is that legalization of medical marijuana might actually mean less widespread research. And without more research, particularly without more research involving children as subjects, pediatricians are going to remain skeptical and conservative in their approach, Zempsky says. Pediatricians hope to have enough information about the drug soon to make more educated decisions for their patients. But even with that knowledge, Cohen says, it will still be just like any other drug: It will work for some people but not for others, and it’ll have side effects. Even though some parents of kids with debilitating conditions want a miracle cure, they probably won’t find one. Please correct my name in this article to Dr. Madan Cohen. Thanks! I am 91 years old and have a granddaughter with cerebral palsy and pray for some kind of miracle such as cannabidiol oil that will give her a chance to walk and talk. She is 8 years old very beautiful and physically healthy and a happy child with great understanding, but her muscles have to be controlled. She was given Baclofen for a few years with many side effects that prevented her from sleeping and properly eating and not gaining weight. Subsequently another doctor prescribed her Valium four times daily which helps controlling her spasms some, and she has gained weight, but she is also hooked on Valium. If we could get cannabidiol oil, she could get off the Valium and be able to live a more normal life. Right now she either seats in a controlled way or lays on her back. I am praying for a change and hope to be able to see her on her feet before I leave this earth.Thanks.